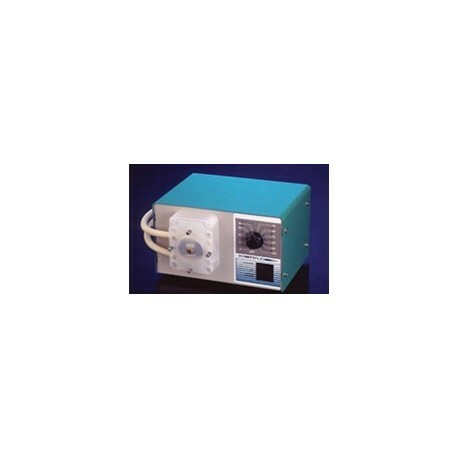 The VARIABLE SPEED COMPACT PERISTALTIC PUMP is a positive displacement pump designed for ease of transporting inks, coatings, solvents and other liquids from drums, pails and containers to the application or mixing equipment. Advantages of using CON-TROL-CURE's® Compact Peristaltic Pump are ease of clean-up, minimum maintenance, simple non-technical operation and affordability. To reduce downtime between jobs, replace tubes when changing colors or materials. One tube may be used for solvents, another for UV inks, or one tube for each color. The Compact Peristaltic has no check valves or other components in the fluid/air stream. This means less maintenance because of fewer movable parts. Since the roller completely closes the tube, the roller acts as a valve when it stops. Other pumps require long, tedious clean-up especially when changing colors or type of ink. Cleaning the pump is accomplished by pumping a cleaning solution through the tube, or by taking out the contaminated tube from the pump head and replacing it. Secured by 4 wingnuts, the pump head may be disassembled quickly with no tools. Clean-up can be completed within 2 minutes. Since it is a positive displacement pump, it offers good metering performance. The working pressure range of the Compact Peristaltic is 0-20 PSI. Maximum operating pressure is 25-35 PSI. The Compact Peristaltic Pump is available in 2 models: Variable Speed Model and OEM (Original Equipment Manufacturers) Model (p.64). 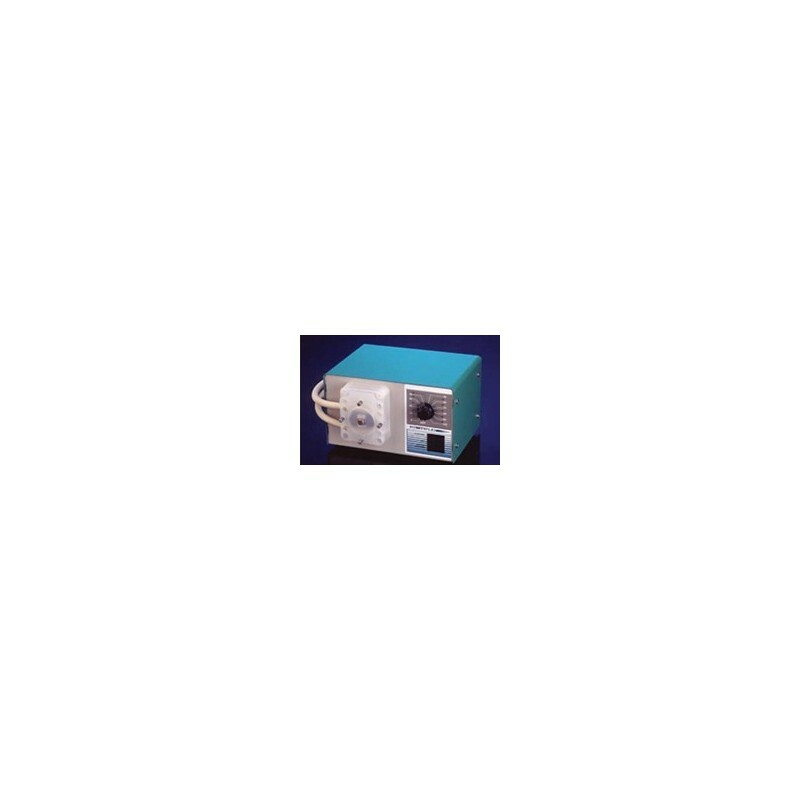 The Variable Speed Compact Peristaltic Pump is ideal for use with various job requirements and may be standardized for sampling or testing. Its changeable speed makes it highly versatile for most applications. Reversing switch reverses the flow of the ink or material back from where it was being transferred. Self-priming up to 29 ft. IMPORTANT NOTE: compact peristaltic pumps should only be used with non-flammable materials. J432-005 [Tube Kit]:Contains one each of the four types of tubes that go with pump J432-001. These include ID 1/16", 1/8", 3/16" & 1/4" [3/32 Wall]. The tubing is bone colored but does not allow light filtration and is suitable for use with UV inks. To verify chemical compatibility, please submit an MSDS sheet on your inks for analysis.